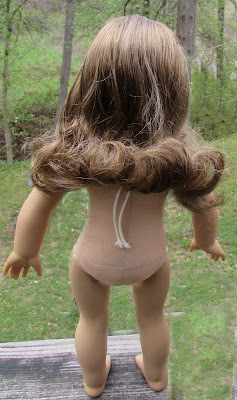 We got the tangles out, but still looked frizzy. Then the hair got straightened . Last of all her pretty curls!!! And what girl would not want a new pretty dress. 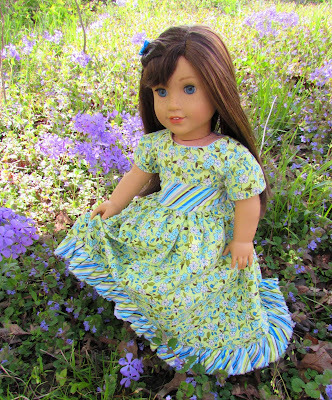 Gracie has a new blue and green dress covered with flowers, like the spring day she's enjoying today. 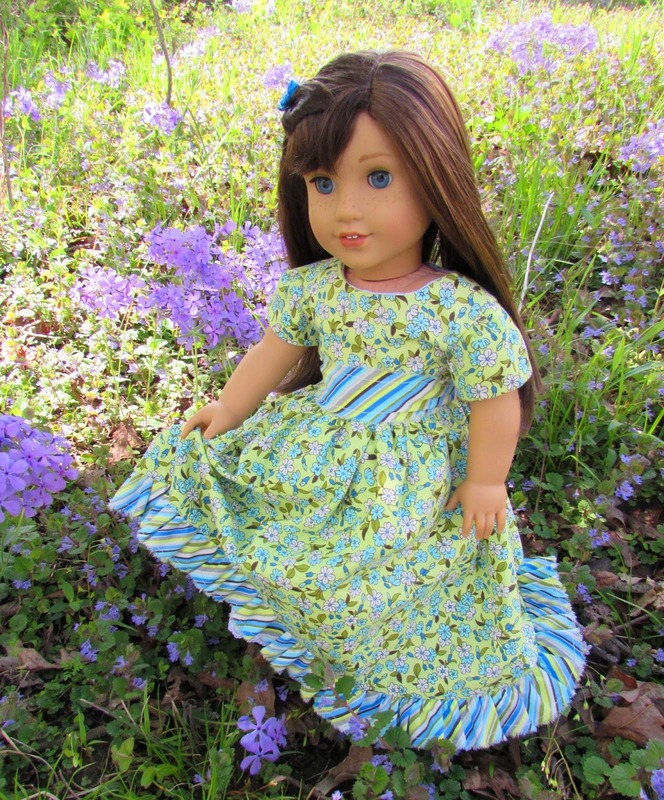 Gracie's new blue floral dress and shiny green shoes. Sitting on the warm beach. If you see any dresses on here that you really like and want one like it, leave a comment below. I just might have extras! Or will take an order. 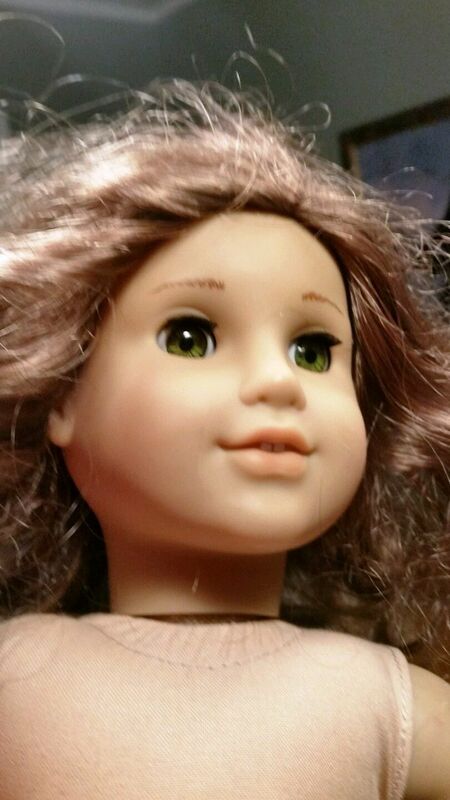 Hi I'm Grace, an American Girl doll of 2015. My new owner thought I needed some new pretty clothes, and this was my first dress, See my new dress! It was home made along with some very cute boots! All homemade! Please let us know me know how you like them.